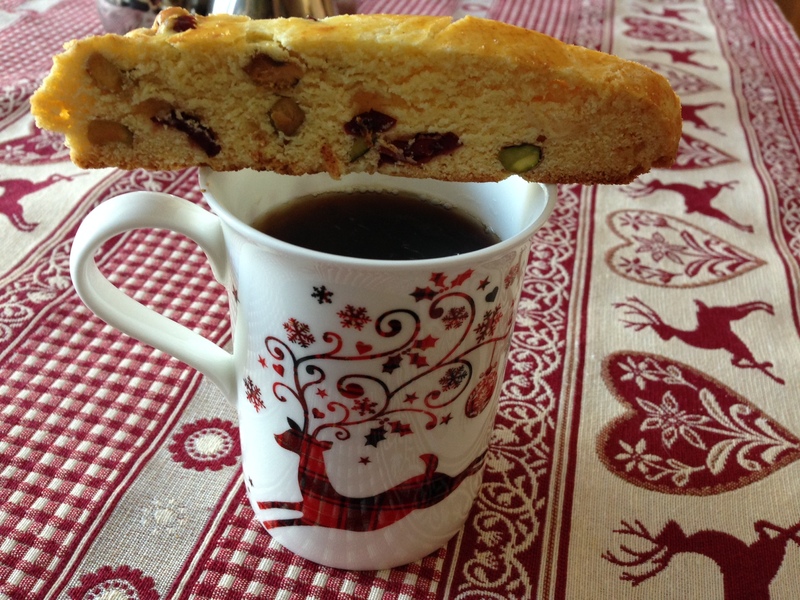 I love a good dipping-cookie and biscotti fit the bill in a very tasty manner. I have included three variations to my basic recipe. There are as many variations as the brain will imagine, so have fun playing. The Cranberry/Pistachio/White chocolate ones are very Christmas-y, the Apricot/Almond ones are my favourite, and the Double Chocolate ones are, well, DOUBLE chocolate. 1. Mix flour and baking powder; set aside. In mixing bowl beat butter 30 seconds. Add sugar; beat till fluffy. Add eggs and vanilla; beat till combined. Add half of flour mixture; beat till combined. 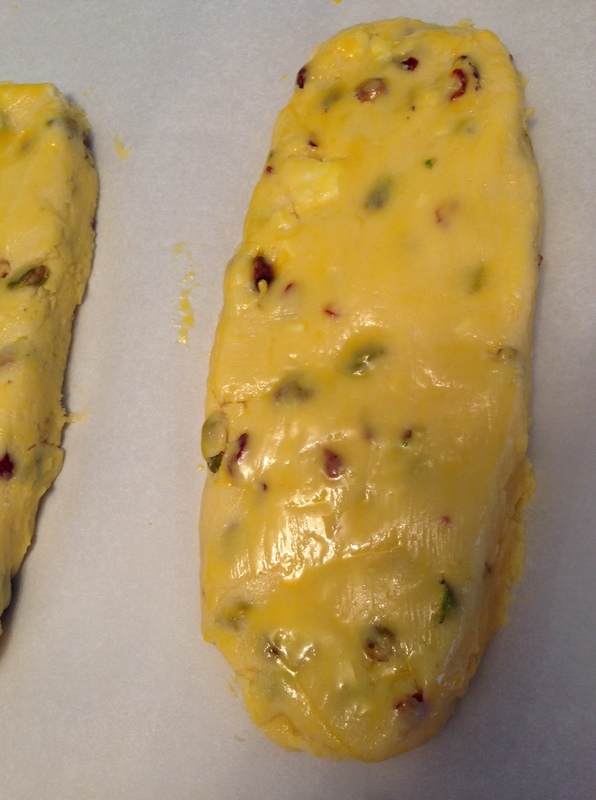 Add remaining flour, pistachios, cranberries and white chocolate. 2. Divide dough into 4 pieces. Shape piece into 9x2x1 ½-inch logs. Place logs 4 inches apart on two cookie sheets with parchment. Stir together 1 beaten egg yolk and 1 tablespoon milk. Brush egg mixture over logs. 3. Bake logs in a 375 degree F oven for 25 minutes. Cool on sheet 30 minutes. 4. Cut each log diagonally into half-inch slices. Lay slices, cut side down, on the parchment-covered cookie sheets you just used. Bake in 325 F oven 8 minutes. Turn slices over. Bake 10 minutes more or until crisp and dry. Transfer to wire rack to cool and firm up. The following are two variations on the above basic recipe. Just change the add-ins. Oh, these all look wonderful. I just went to print it out and make some right this very minute, but the print-out is ten pages! I decided that I want this recipe enough to cut and paste all the text to a Word Document and mess around with the background color so it didn’t print out black with blue text but the post wouldn’t let me copy. I guess I could move the PC into the kitchen or I could write it down. You’re killing me! I really wanted to make this! It deserves to be made it looks so good. Mix flour and baking powder; set aside. 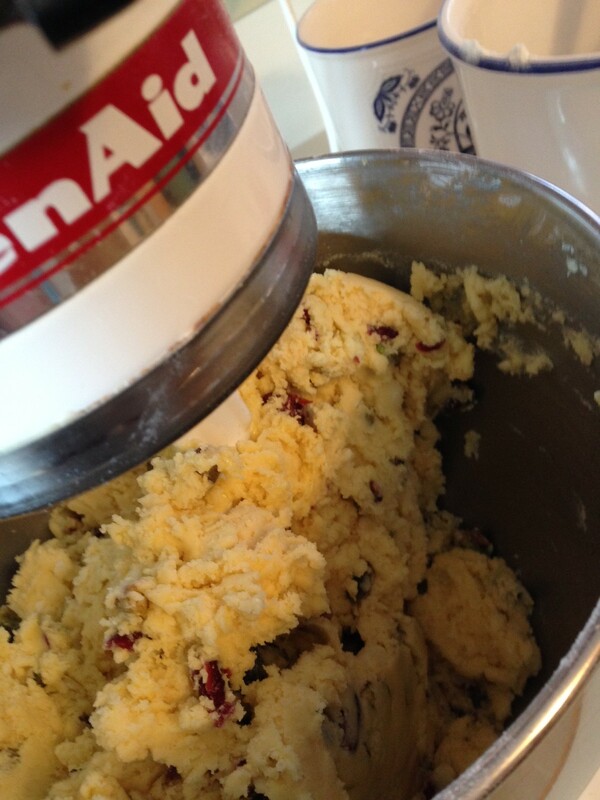 In mixing bowl beat butter 30 seconds. Add sugar; beat till fluffy. Add eggs and vanilla; beat till combined. Add half of flour mixture; beat till combined. 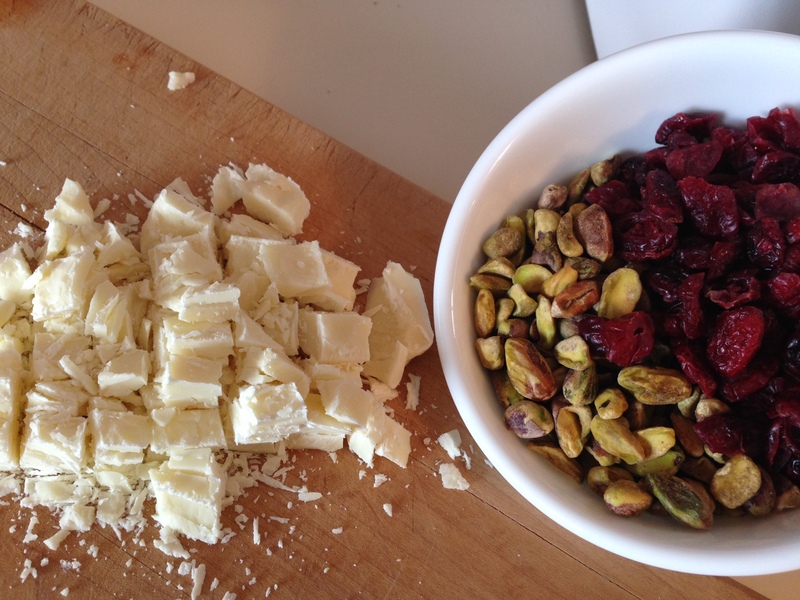 Add remaining flour, pistachios, cranberries and white chocolate. 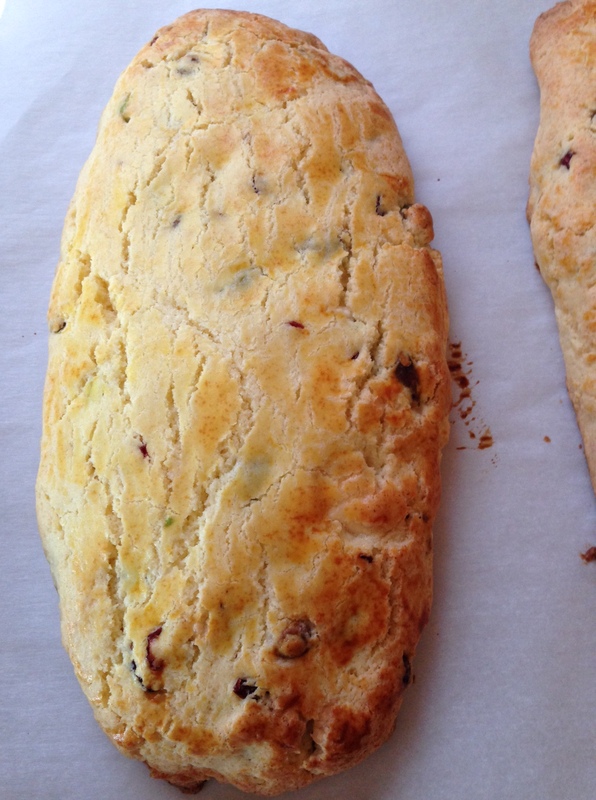 Divide dough into 4 pieces. Shape piece into 9x2x1 ½-inch logs. Place logs 4 inches apart on two cookie sheets with parchment. Stir together 1 beaten egg yolk and 1 tablespoon milk. Brush egg mixture over logs. Cut each log diagonally into half-inch slices. Lay slices, cut side down, on the parchment-covered cookie sheets you just used. Bake in 325 F oven 8 minutes. Turn slices over. Bake 10 minutes more or until crisp and dry. Transfer to wire rack to cool and firm up. I’ve got it! Thank you so, so much. I was able to copy and paste this and I was able to change the colors to black text on white. I’m thrilled. I’ll let you know how the biscotti comes out. Goody! I hope you like them. I am making a couple batches tomorrow. 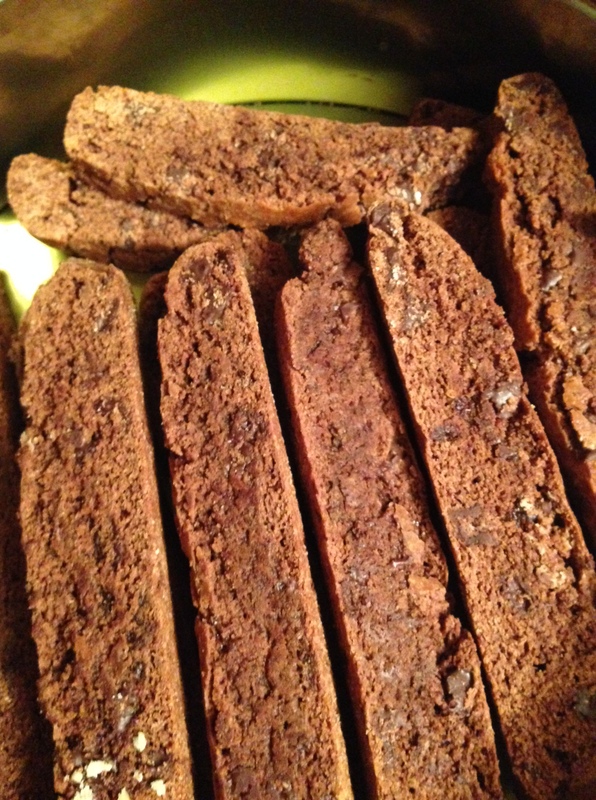 Without a doubt, this is the best biscotti recipe I’ve used and I have a good recipe which I’ll toss now. 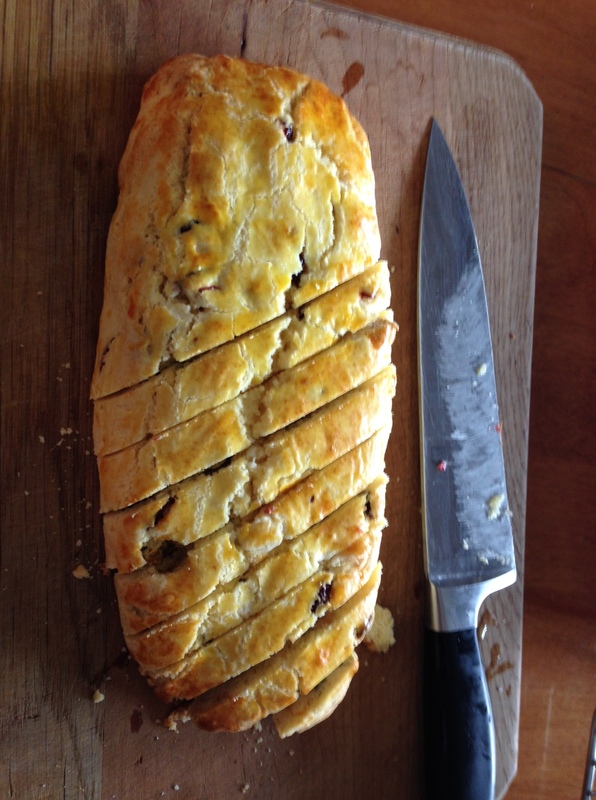 This recipe is more moist which I really liked and it still holds together perfectly. I made a few kinds and froze them to have on hand when anyone stops in to visit. I made one batch with fresh apples and nutmeg that is just fabulous. Thank you so much for getting me the recipe in a form I could take into the kitchen. This recipe will be used over and over.again. 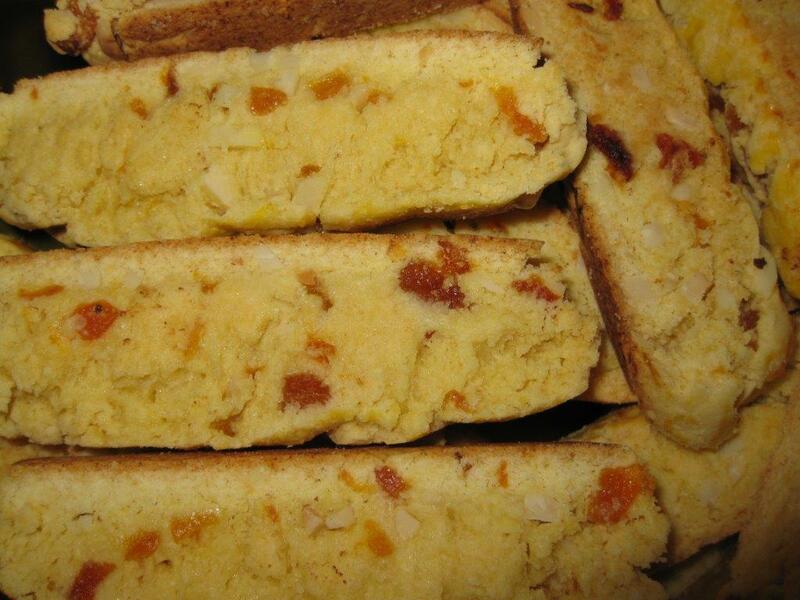 It is perfect in all ways, quick, one can use whatever one has on hand and it is over-the-top delicious. What a gorgeous lookin’ coffee cookie 😉 Biscotti is one of my very faves! 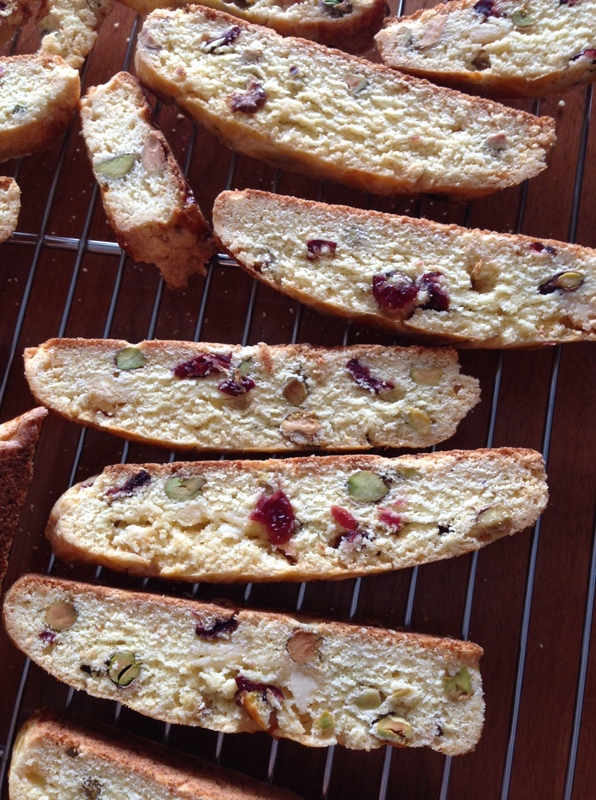 It’s so hard to describe the biscotti making process but you pretty much laid it out in a simple, straightforward way. Love it!